7 healthy energy-boosting breakfast hacks. We all know how important breakfast is to kick starting our metabolism first thing in the morning. There are many ways to ensure you have a good, healthy and nutritious breakfast that sees you through till lunch, but are there any tricks we are missing? 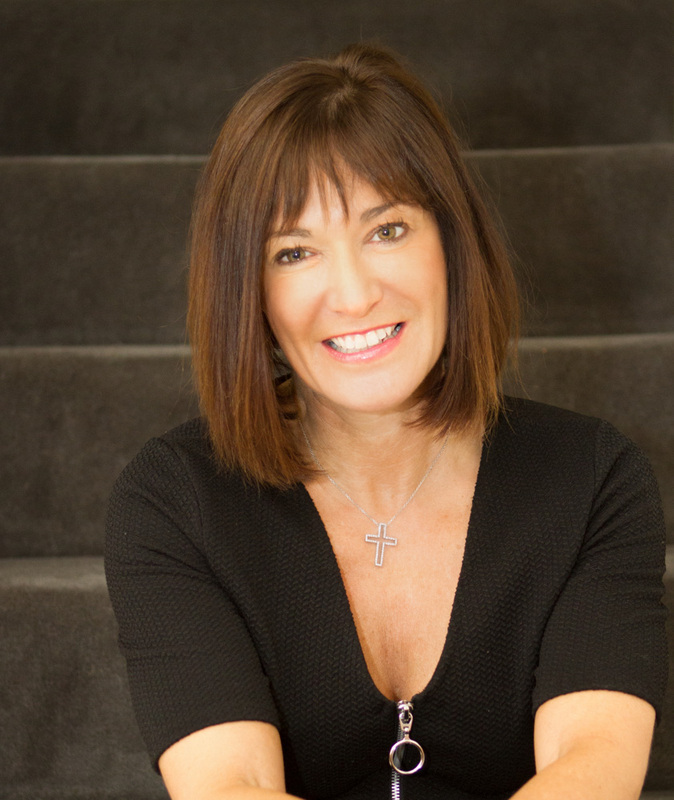 Suzie Sawyer – Consultant Nutritionist – shares her top seven tips for an even better breakfast boost! In many ways, breakfast is the most important meal of the day. Technically you have been ‘fasting’ for perhaps seven or eight hours; blood sugar levels are low and the body is calling for fuel to get you through the day. Time is often of the essence in the mornings so what can you do to make your breakfast healthier and easier to prepare? 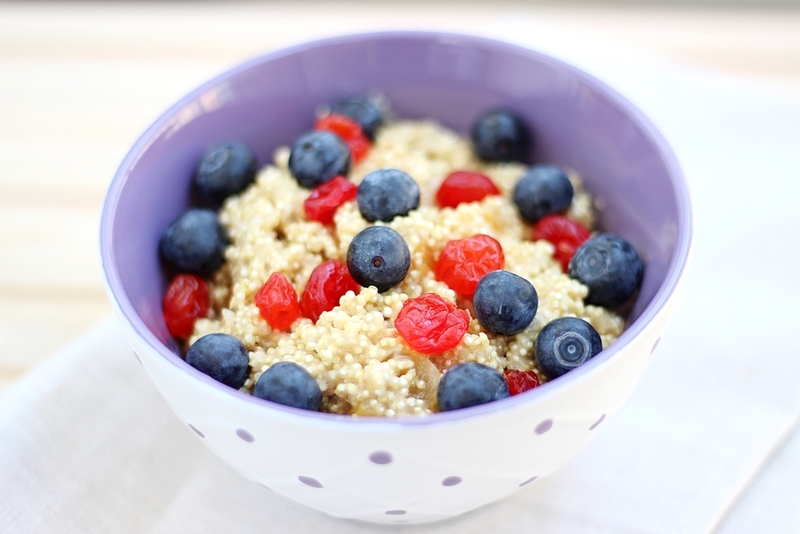 Here are my top seven quick and nutritious tips to boost your breakfast! Ideally, we’d all like to start the day feeling happy and less stressed. So, why not swap the traditional cow’s milk in your cereal for some goat’s milk? The amino acid ‘tryptophan’, present in goat’s milk, metabolises in the body to make mood-boosting serotonin – our happy hormone. 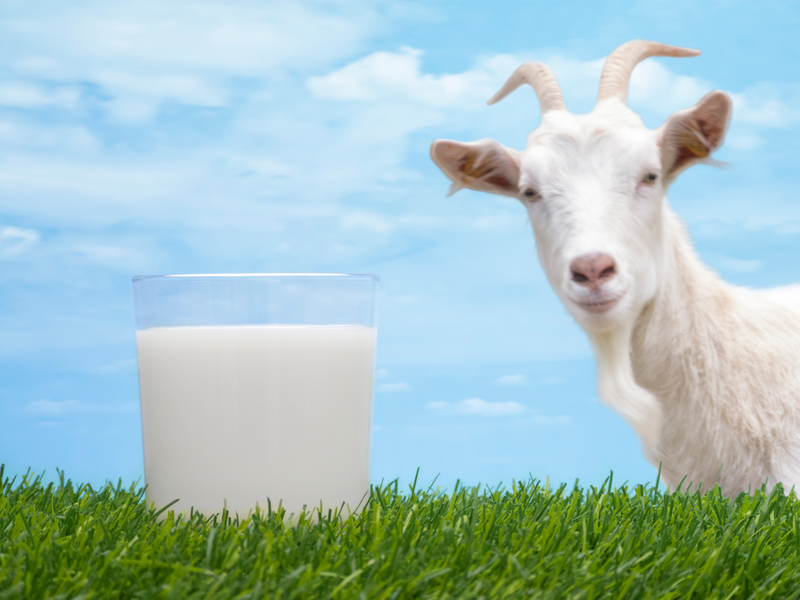 Goat’s milk helps to boost levels of serotonin more than cow’s milk, making it a happier way to start the day, plus it’s a great alternative for people who have digestive issues or an intolerance to dairy. 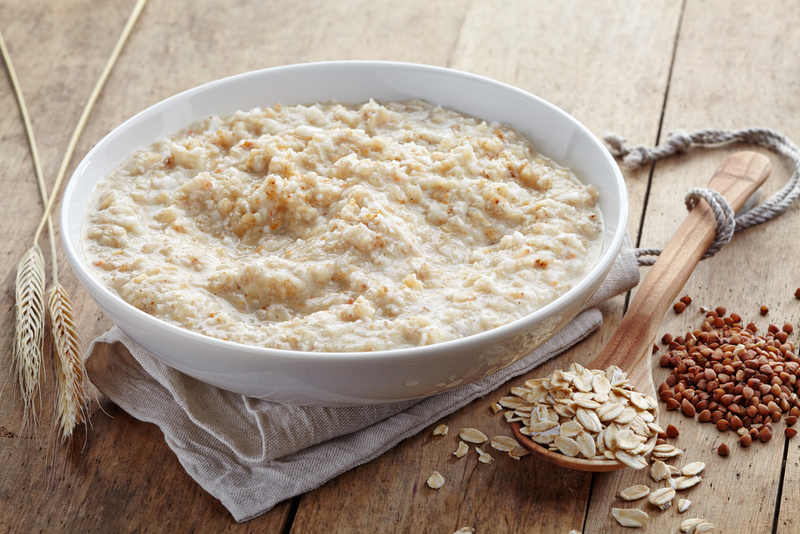 Tuck into a bowl of porridge made from wholegrain oats, but sprinkled with some cinnamon. Good old fashioned porridge never falls out of favour with nutritionists because it’s low in fat, high in fibre, high in energy-yielding B vitamins and keeps you feeling fuller for longer, without upsetting blood sugar levels. By adding some cinnamon, you’ll not only be giving the porridge a great taste, but you will also be increasing the body’s ability to burn fat and reduce its propensity to store fat. It’s an all-round winning combination. All you need is one teaspoon of cinnamon added to your porridge for that extra fat-burning benefit. 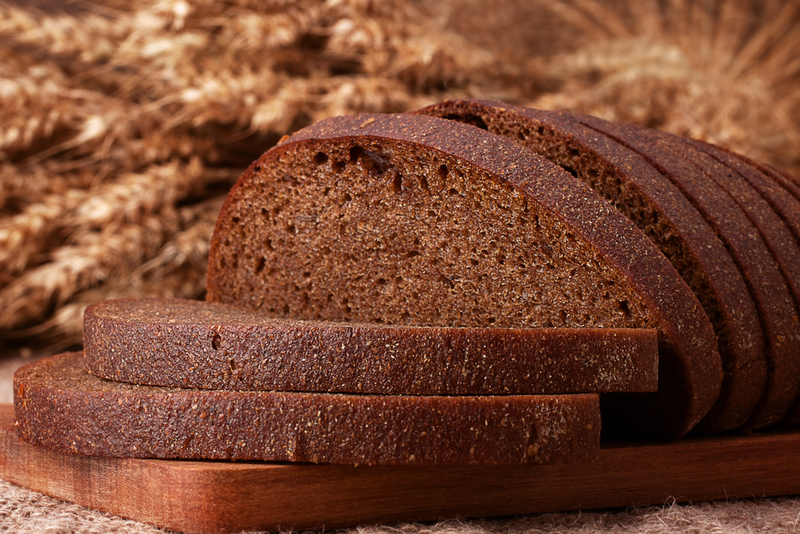 Rye bread has one of the lowest glycemic index values of all bread; this means that it will provide you with longer, more sustained energy throughout the morning rather than the quick burst of energy followed by a low that a lot of other breads will do. This also means that hopefully you’ll be able to go for longer without reaching for a snack. Toasted rye bread is delicious topped with cashew or almond nut butter for that extra hit of quality protein – it’s a very quick and nutritious breakfast. 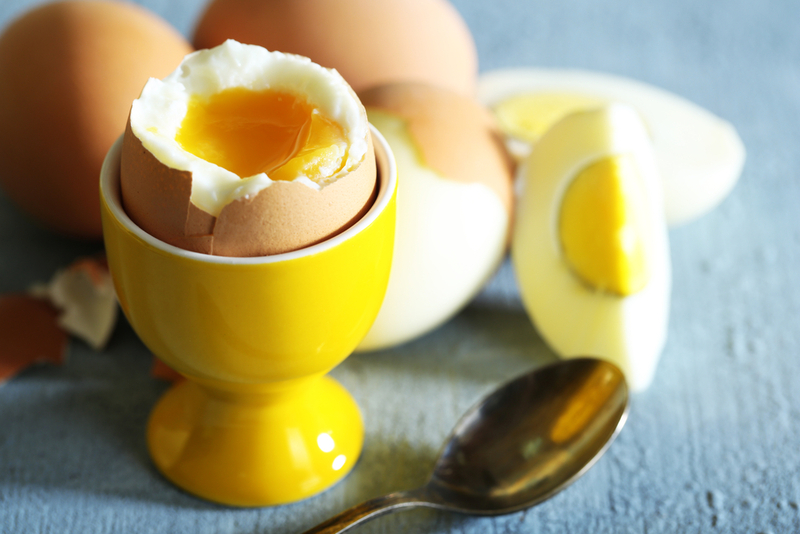 If porridge isn’t for you, then eggs are one of the best ways to start the day. Boiled, scrambled or poached (not fried), with a side of tomatoes, and you’ve got some excellent protein together with the antioxidant lycopene (which is associated with preventing damage to the cells in our body) from the tomatoes. Eggs are a complete protein, meaning that they contain all the essential amino acids needed for building and repairing the body, the production of hormones and maintaining good lean muscle. Having a protein-based breakfast will ensure that your blood sugar levels start the day on an even keel so you’ll feel better balanced and less hungry throughout the day. If you’re really pushed for time in the mornings, rather than stopping by a high street coffee house for a high calorie breakfast muffin, why not pack a small pot of natural soya or live yoghurt, together with a few seeds and a punnet of blueberries? You’ve got yourself a nutrient-dense breakfast which includes protein, essential omega 3 fats and the antioxidant powerhouse that is the blueberry. You can continue to snack on the punnet during the day and before you know it, not only have you had a great start to the day, you’ve also made a great start to getting the minimum ‘five-a-day’ of your fruit and vegetables. Many people find eating foods containing gluten makes them feel bloated; however, it’s not always easy to find cereals that are gluten-free and many of the alternatives are sugar-laden. Enter quinoa – the grain that is topping the superfood list and is now available as a porridge breakfast. Quinoa is a low fat, high protein, non-allergenic, nutrient-dense grain and is currently flying off the supermarket shelves. It can readily be purchased as porridge flakes which can be prepared in the normal way. However, if you serve it with coconut milk, it will also help to ‘rev up’ your metabolism, helping you to burn fat and elevate muscle strengthening – a great pre-workout breakfast. 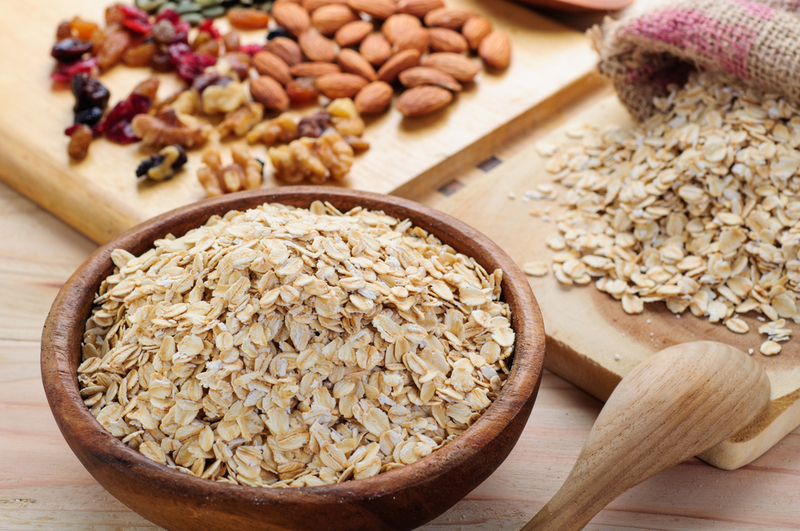 If the mornings are always a rush for you, why not make a large batch of homemade and healthy muesli. By making it from scratch, it will generally be lower in sugar than the shop-bought variety, and will be always be readily available to your tastes straight from the cupboard. It’s a healthy breakfast that’s also packed with fibre and iron and it will certainly give your energy levels a boost first thing. Try mixing together some porridge oats, walnuts, hazelnuts, and almonds, and add some chopped apricots and raisins. The mixture can be soaked in a little sugar-free apple juice overnight or you can just grab it from the cupboard and serve with some milk, natural yoghurt and fresh fruit of your choice. So there we have my 7 top tips. Breakfast is far too important to miss, even if you’re short on time: it doesn’t need to be a chore to prepare and by having a few staples available in your kitchen you can put some of these top tips into action every week. And believe me when I say that your energy levels will definitely be better for it! 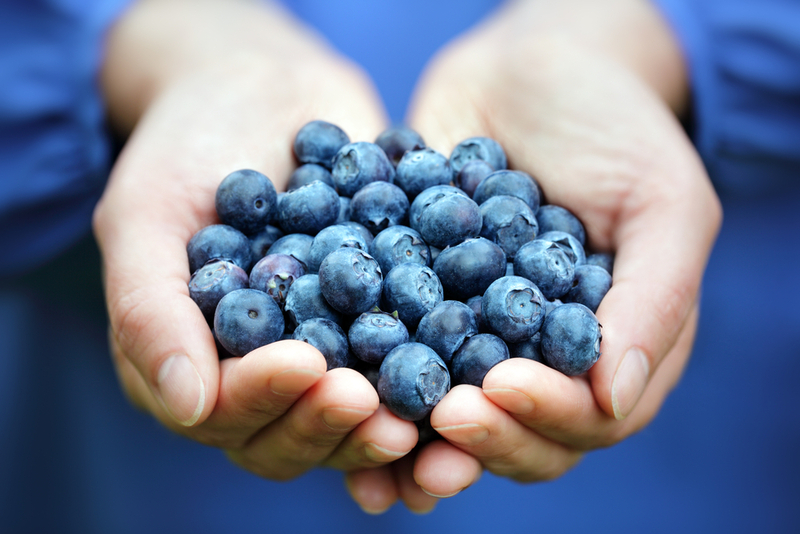 ← They’re ‘berry’ nutritious: 4 berries that pack a healthy punch!